This gorgeous beauty is SpaRitual Nomad, a complex duochrome-fleck shimmer that dries to a satin-matte finish and has an olive base with copper-pink-to-green shifting shimmer flecks, sometimes giving it a more brown or coppery overall look, sometimes more green. I used two coats, no top coat. The formula was great and dried quickly. I then added topcoat to see how it would look shiny (looks amazing, of course! 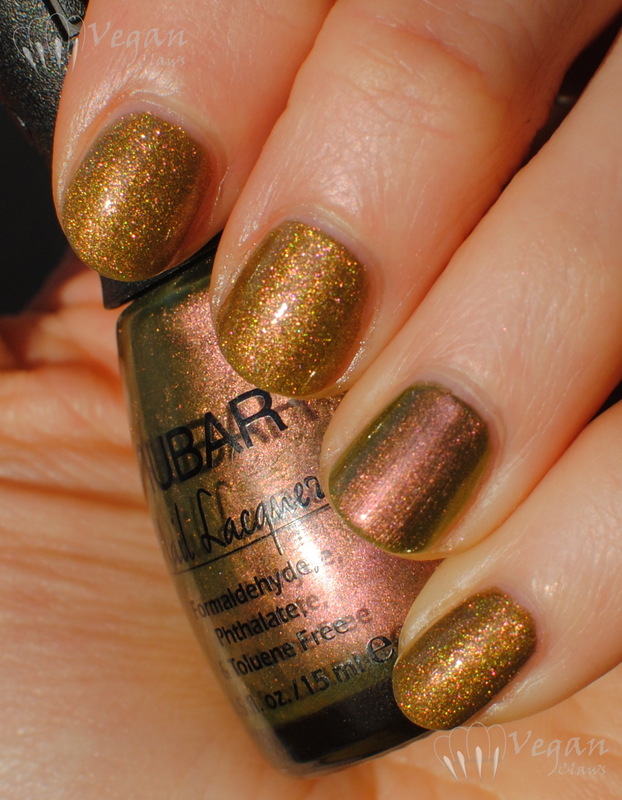 ), and did an accent nail using Nubar Wildlife on my ring finger. Wildlife is basically the smooth metallic counterpart to Nomad; the colours and their shift are very similar! I also used two coats for Wildlife, no top coat. Love both of these! 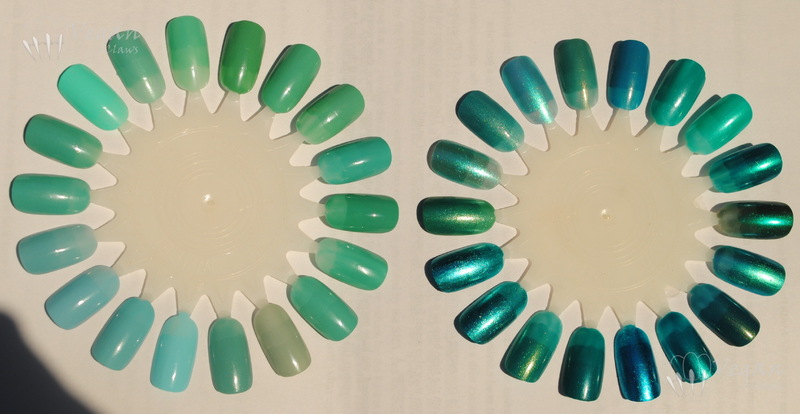 Here is Zoya Zuza, a beautiful shimmery turquoise. Two coats, and the formula was a little thick, according to my notes. I love Zuza. Zoya Wednesday, a slightly dusty turquoise/minty/tiffany blue creme. Two coats, three on my ridgey ring finger. The formula on this one was a little thin. (Not colour accurate, leans slightly too green.) Left wheel, clockwise from 3:00 position: Zoya Wednesday, Color Club New Bohemian, Orly Gumdrop, Nubar Mod Agua, Cult Nails Manipulative, Kleancolor Pastel Teal, Soulstice Kona, Sephora by OPI Natural Environ-mint, NYX Girls Pistachio, Essence You Belong To Me, China Glaze Aquadelic, Color Club Blue-Ming, NYX Salon Formula Surf, Barry M Mint Green, Orly Ancient Jade, Fingerpaints Choco Mint, NCLA Santa Monica Shore Thing, Fingerpaints Tiffany Impostor. Right wheel, clockwise from 9:00: Zoya Zuza, Nicole by OPI Diva Into the Pool, Manglaze ILF, Milani Golden Sea, LA Girl Delirious, China Glaze Custom Kicks, Kleancolor Teal Envy, Kleancolor Mystic Grass, Sparitual Rhythm of Life, Butter London Thames, Gosh Ocean, LA Girl Obsess, Kleancolor Teal Marble, Kleancolor Metallic Aqua, Fingerpaints Winter Sky, NYX Juliette, LA Girl Chromium Green, Kleancolor Metallic Jungle. 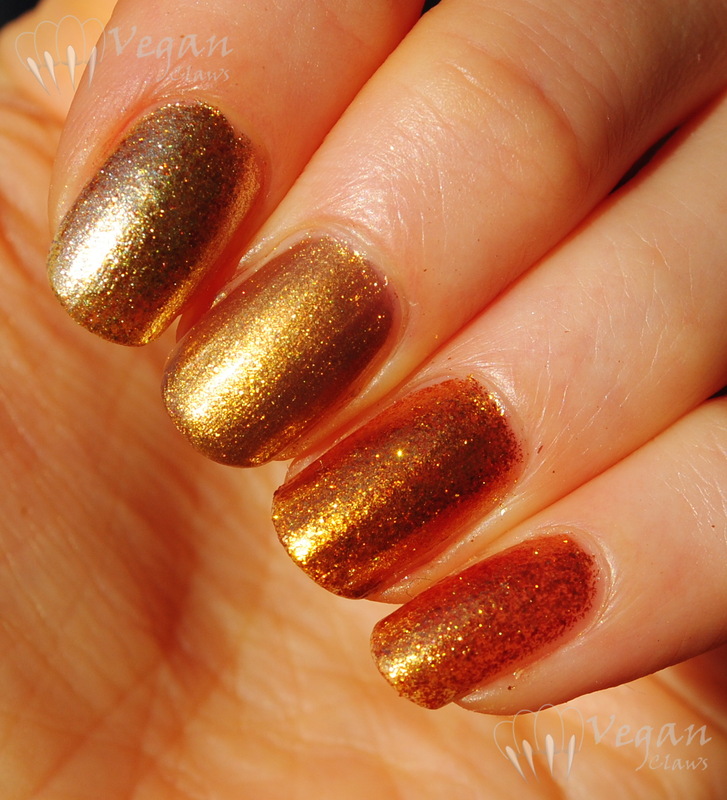 I’ve got a couple of gold polishes from last year for you today, along with a comparison! 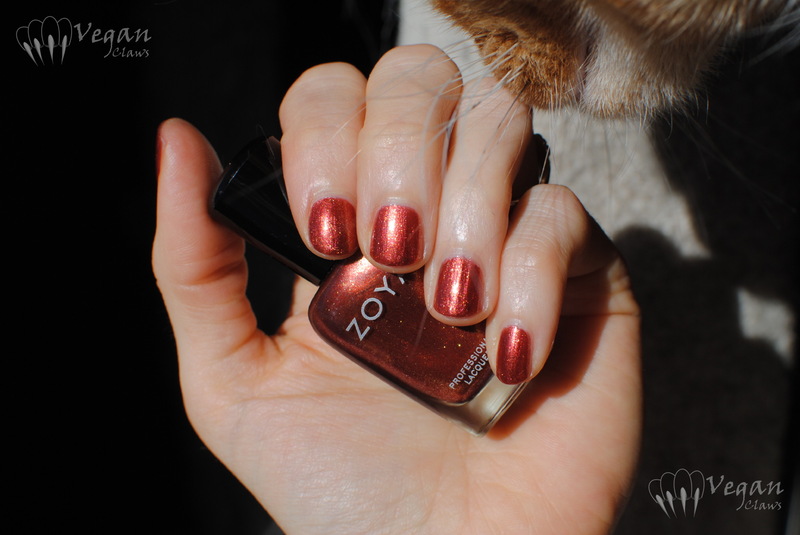 First is Zoya Ziv, a foil finish combining fairly neutral gold flecks with warmer, brassy gold flecks. It’s a bit sheer, so this was three coats. It has a nice foil formula, although it did threaten to drip down the brush stem on me. 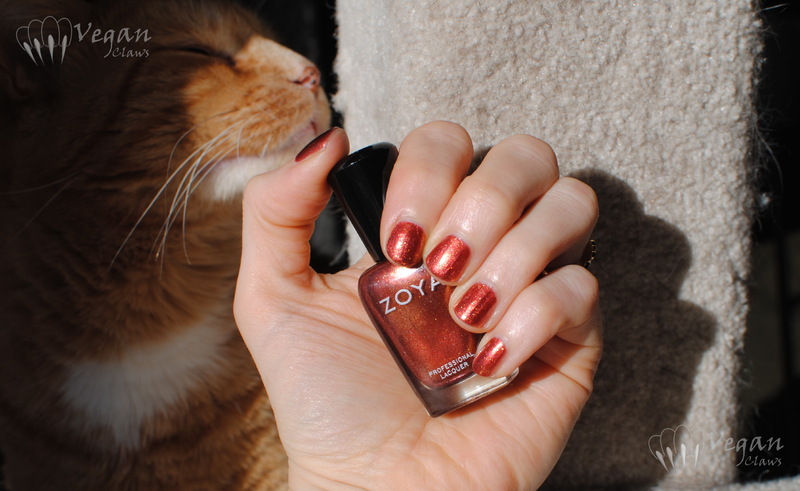 Next is Orly Flare, a more metallic finish warm gold shade. This is also three coats, but it was a bit less sheer than Ziv. Also was a bit drippy down the brush stem (something about the air that day??). 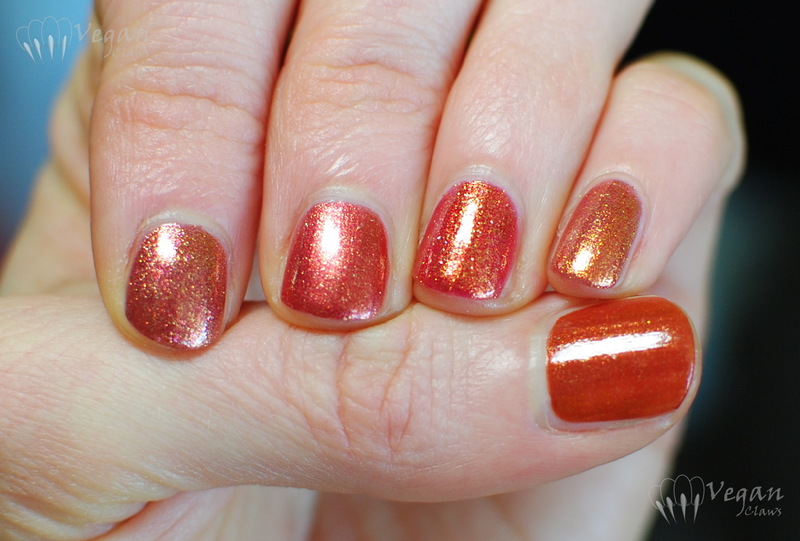 The comparison shows three coats each of Ziv, Flare, Sparitual Solstice (which is identical to Orly Glitz and Glamour), and OPI Goldeneye. 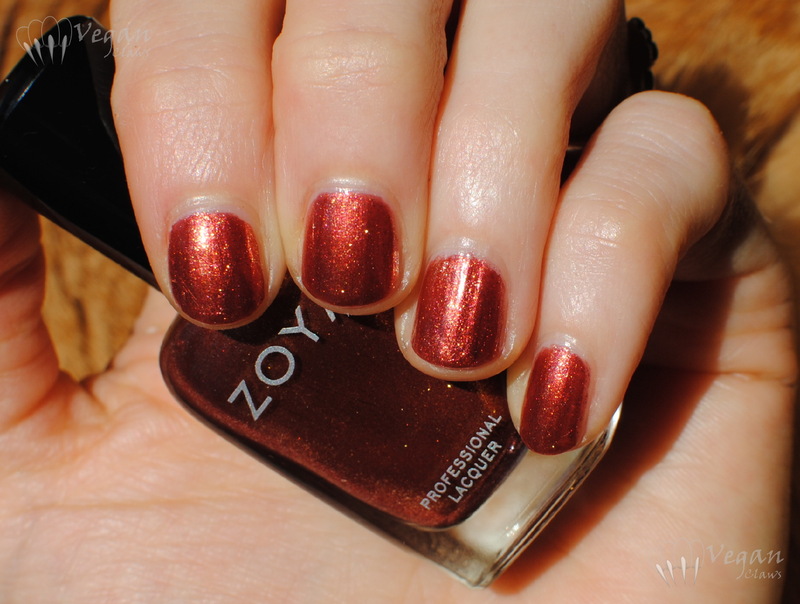 Index to pinkie: Zoya Ziv, Orly Flare, Sparitual Solstice, OPI Goldeneye. Goldeneye and Solstice are the most similar of the four, but Goldeneye is more sheer. Flare is fairly similar in colour to those two, but not in finish. Happy solstice! 😀 I thought I would post a sunny colour to celebrate. 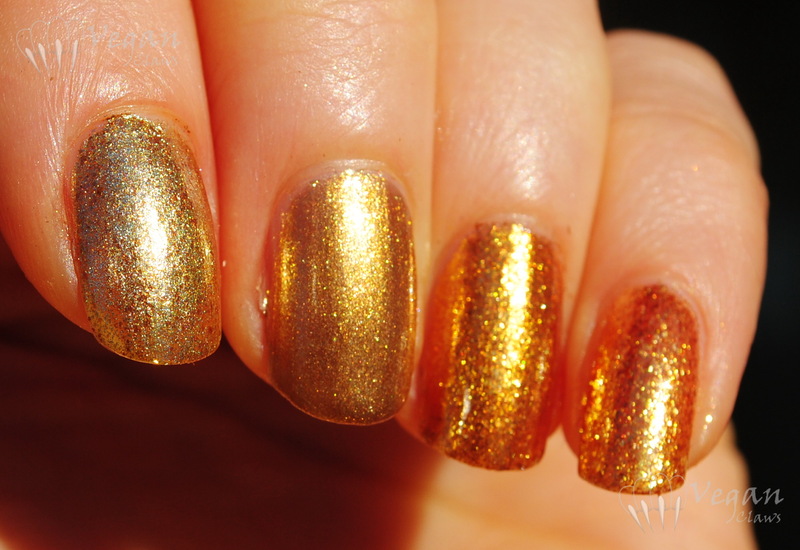 This is OPI Goldeneye, which I used in a couple of previous nail art manicures. 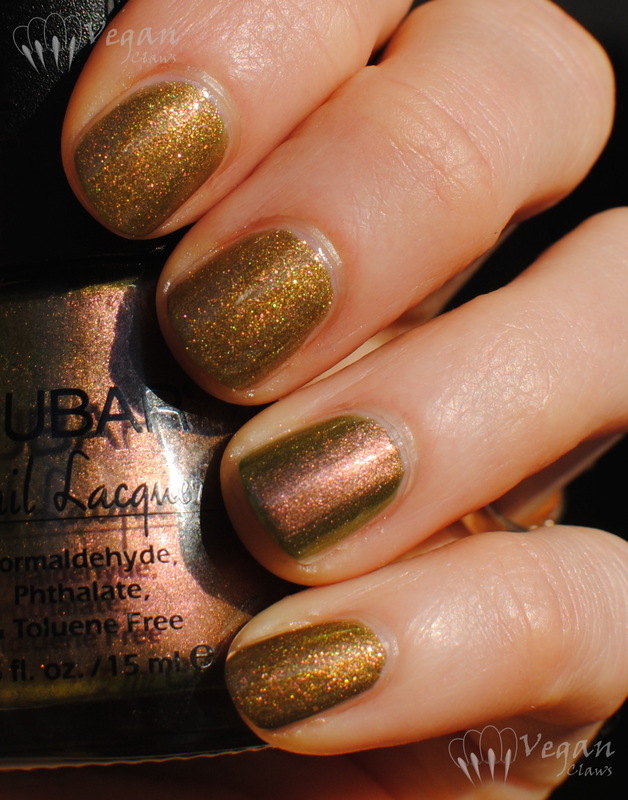 I love gold polishes and this one is a great one, full of irregular foily flecks. The swatch shows three coats; the polish is sheer but has a good formula. 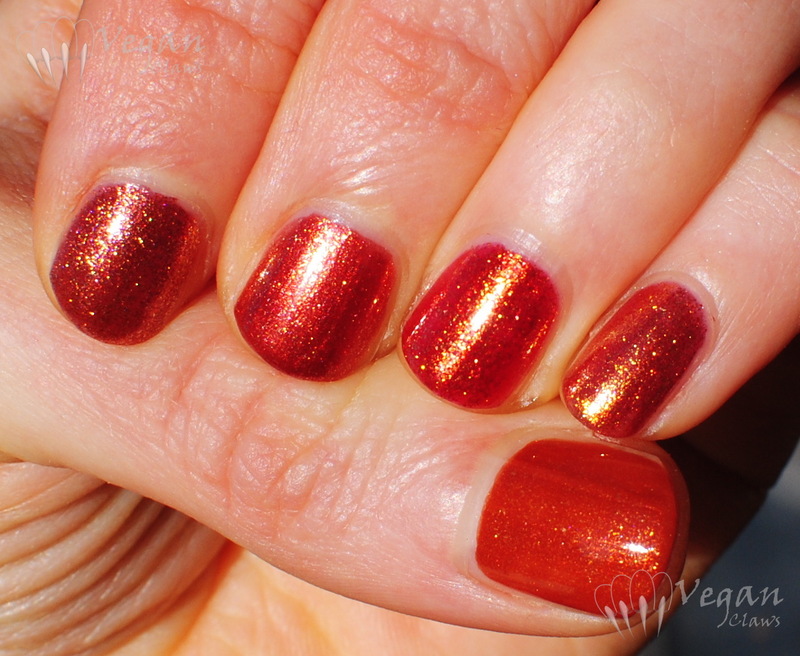 I did a comparison of Goldeneye to a few other yellow gold polishes. 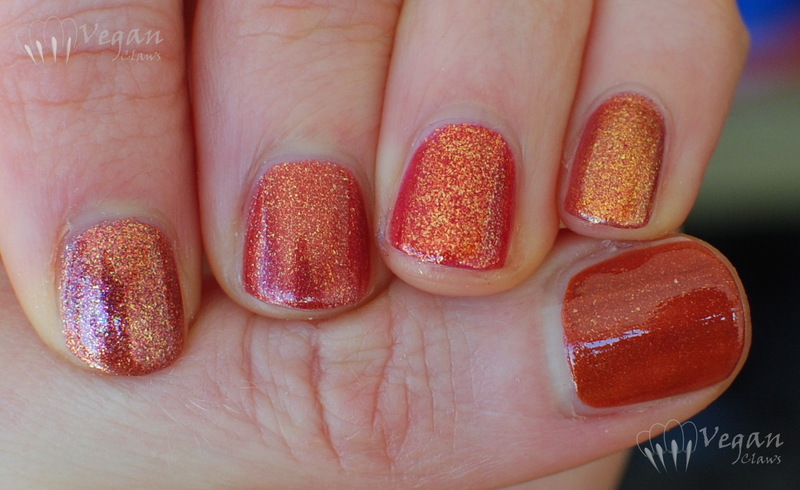 First, here’s a bottle comparison of Goldeneye to Orly Glitz & Glamour. Goldeneye has more of an orange/copper tone to it than Glitz & Glamour. Top to bottom: OPI Goldeneye (3 coats), Orly Glitz & Glamour (2 coats), Sparitual Solstice (2 coats), Wet n Wild The Gold and The Beautiful (3 coats). 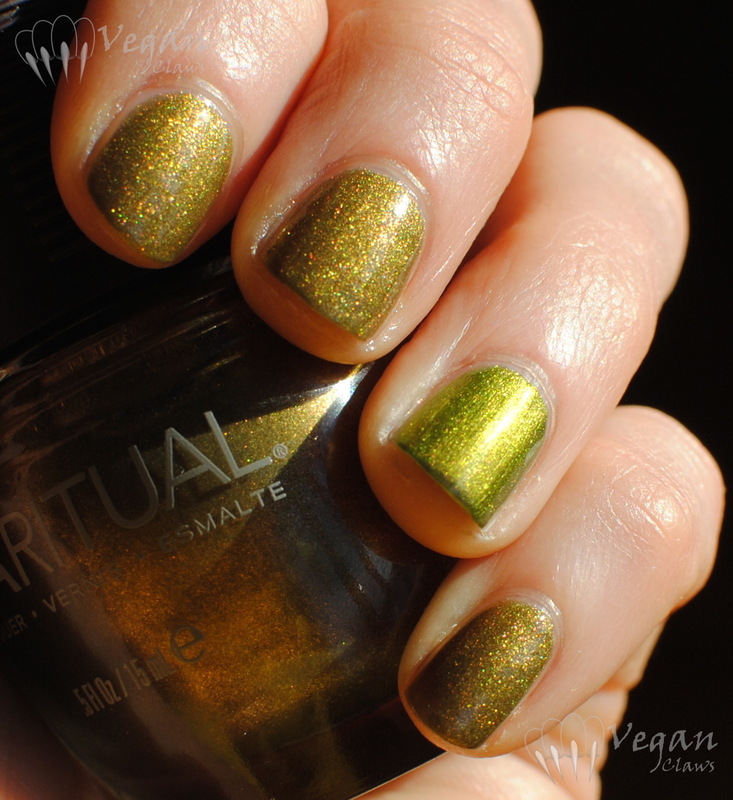 Glitz & Glamour and Solstice are yellower than Goldeneye and are dupes to one another; I’d guess they’re probably the exact same polish in fact, since Orly and Sparitual are made by the same company. The Wet n Wild polish is the sheerest of these shades. Instead of a foil it’s more like sparse glass flecks. At three coats here, it’s still quite sheer. I like to use this one in frankens when I want to add some gold flecks!